Security of private data continues to be a burning topic, as the ongoing merger of businesses and automation, while highly beneficial, is also intensifying the incidences of data breach and identity theft. The consequences of identity theft can be catastrophic – in addition to financial losses, it can lead to significant emotional distress. That Consumer Sentinel Network received nearly 2.7 million reports from consumers, of which identity theft was among top three topics, is an indication of the sheer scale at which identity theft is pervasive. The threats posed by identity theft are not lost on organizations. Over the years, a steady increase in the adoption of identity theft protection services has been witnessed. Further, with data mining becoming a key component of business development, increased complexity of data processing and storage has made private consumer information vulnerable to data breaches. 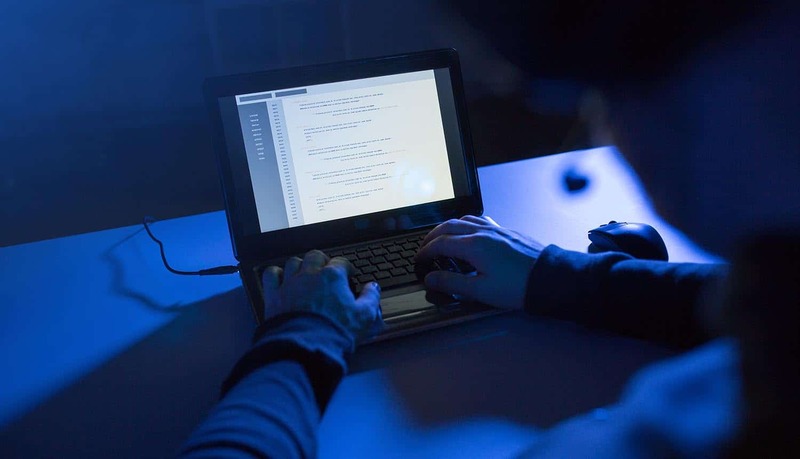 The sophistication with which cyber-criminals are targeting both consumers and organizations has meant that service providers have had to up their ante. Identity frauds are no more limited to full-on impersonation and have penetrated every area of businesses wherein personal data sharing is involved. Credit card fraud statistics have risen significantly in the past half a decade, in tandem with the increase in credit card holders. Identity theft protection services for the prevention of credit card fraud is gaining significant traction. In 2018, this type of services accounted for nearly two-fifth of the global revenues of ID theft protection services market. As the digital payment mode continues to be embraced, especially in developing countries, credit card fraud prevention solutions are likely to be in high demand. Along with card fraud, the financial sector remains highly vulnerable to bank fraud. Although banks have been able to prevent fraud with the investment in advanced theft protection services, they are currently dealing with the synthetic ID fraud – a new challenging milestone, currently addressed by ID theft protection service providers. According to the Boston Federal Reserve data, over 75% of U.S. consumers had at least one credit card in 2017. The growing reliance on digital payment significantly contributes to the significant adoption of ID theft protection services in North America. While employment-related fraud, tax fraud, phone or utility fraud and medical identity theft usually involves the adult population, recent rise of child ID theft has created an urgent need for advanced ID protective measures, particularly U.S. Social Security numbers. Further, as federal governments are adopting electronic IDs, efforts in the area of ID fraud prevention has become necessary. Vendors of identity theft protection services are engaged in introducing a divergent service base to accommodate a range of end-users and their specific data protection needs. LifeLock, Experian and Equifax are the industry titans in identity theft protection services. However, with evolving cybercriminal strategies, services of these giants also remain under constant scrutiny. For instance, in September 2017, Equifax failed to prevent the theft of over 143 million American consumers’ personal information. Similarly, LifeLock has also been exposed to critiques of failures in preventing identity fraud. While the industry leaders are engaged in developing improved fraud protection and enhanced customer experience, Tier 3 vendors show significant prominence in the identity theft protection services landscape. New product introductions and acquisitions are prominent strategies undertaken by these service providers. Further, as the sales of identity theft protection services remain consolidated among individual buyers, penetration of tier 3 players and entry of emerging companies is easier in the ID theft protection landscape. All in all, cybercrime and identity theft have become serious threats, demanding assertive protective measures in daily ID-related transactions. Every business and individual is prone to personal data breaches in the wake of complex guises of ID fraud coming to the fore. Increasing reliance on identity theft protection services to mitigate the serious consequences of ID theft has resulted in nearly 1.6x growth in revenues from 2013 to 2018. The status quo is expected to continue wherein identity theft protection services are expected grow over 11% and generate revenues worth over US$ 8.2 billion in 2019. Madhvi Bhosale is a market research writer and has an experience of over 3 years in B2B writing. She has been instrumental in contributing to Fact.MR’s cyber security related publications. She has written extensively on cyber security documentation, including evolving policies and standards.